The working environment at Buckeye Interactive is similar to working environments elsewhere. Except for one thing–our music. We love music, and most of us can’t work without it. It’s a huge part of our culture, especially because all of our music tastes and office playlists differ. Sometimes, we spend an entire lunch discussing new genres and artists! It’s enlightening to go home and have new artists and songs to check out. Honestly, music gives us a wonderful way to bond as a team, and that’s why we love it so much! In the office, we play music through Alexa (we love her! ), and we switch who gets to pick the station of choice each day. Of course, we all have the option to listen to our own music at our desks. We’re all encouraged to listen and work as best suits us! 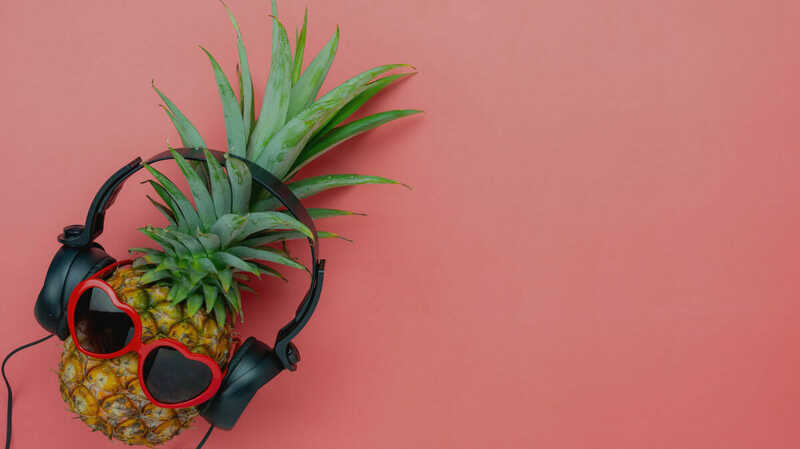 We wanted to share with you our different styles and go-to office playlists, so you can get to know our team better, individually and collectively. From kids’ music to heavy metal, we love it all! I typically listen to kids’ music, honestly. KIDZ BOP is a family favorite, so I usually end up listening to that when I’m in my car. I also love Disney classics. I’m a dad through and through! 🙂 I grew up on Beach Boys, Simon and Garfunkel, Bob Marley, and more for an eclectic mix of my parents’ tastes. My first concert was Garth Brooks, and I loved country all throughout high school. Finally, when I want to get some work done, I enjoy the Tron soundtrack. Most often, though, I just say, “Alexa, play music,” and I see what happens! I use Google Music primarily. I have a playlist of my favorite Spanish music I’ve built over the past few years that includes artists like Maná, Bacilos, and Carlos Vives. Also, I enjoy listening to The Red Hot Chili Peppers and Foo Fighters. I go between Spotify and Pandora. On Spotify, I like Coffee House, Happy Hits, All Out 70’s. On Pandora, I have a playlist of many artists from Country, Rock, Christian, Pop, and Alternative – and I play “Shuffle Stations” so I get to hear everything. While at home, I have music playing continually. I really enjoy walking into work and hearing new stations that have been picked to listen to each day. Sometimes we replay stations because it’s easy, and sometimes you can find out what kind of mood we are all in by what station we opt to play that day. At home, I usually just tell Alexa to play from Amazon lists. Some of my favorite artists are Mumford and Sons, Tom Petty, and The Eagles. I’m definitely a Spotify guy! I personally alternate between Billboard Top 100, Pop Punk Powerhouse, and my daily mixes! 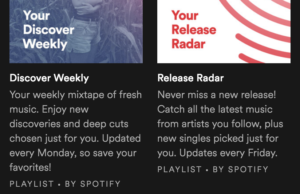 One of my favorite features of Spotify are the curated Daily Mix playlists. The app does a great job of recommending new stuff while playing selections of things I already dig! I’m a Spotify man, through and through. I don’t follow many playlists… the few I do are things like Chill Synth, Synthwave From Space, Retrowave/Outrun… that sort of thing. I primarily listen to the Daily Mixes that Spotify puts together for me, which contain various artists and genres I like grouped together. Genre-wise, I’m into indie-rock, classic punk, and the aforementioned synthy stuff. Otherwise, I’m listening to a specific artist. Some of my favorites are Arcade Fire, Wolf Parade, Green Day, Modest Mouse, The Clash, LCD Soundsystem, Clap Your Hands Say Yeah, Beirut, Operators, Metric, Yeah Yeah Yeahs, Spoon, and many others. I don’t really have a particular playlist, as it really depends on my mood. Some of my favorite artists, however, are Starset, Breaking Benjamin, Dropkick Murphys, Flogging Molly, and In This Moment. I love Spotify for the reasons that they have amazing playlists. I like Lush Vibes, Your Favorite Coffeehouse, and Coffee Table Jazz when I need to zone in and knock out a project. When I’m doing a routine task, I love turning up my AfroBeats playlist. It’s hard to have a dull day when your playlist is fun! I love curating my own playlists in my spare time, but for some reason at work I rarely play them. I prefer to listen to Spotify playlists, which usually contain new music to my ears. The new sounds help my creative juices flow. I love music through and through. 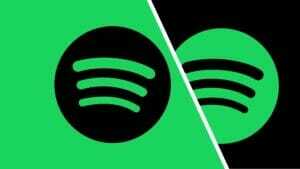 Spotify is just the best creation on this planet! Right after music itself, of course. I always listen to my “Discover Weekly” playlist that Spotify creates for me every single Monday based on the music and artists I love, and I always save at least 5 new songs from it. It’s awesome because I know I have a new playlist to go through every week, and it makes Mondays just a little bit less Mondayish. I also create a lot of my own playlists focused on specific genres. I have my Serbian music playlist, then my instrumental playlist, then a heartbreaking but beautiful playlist, and so on. And I love listening to playlists other people have created; one of my absolute favorites is “when we first met” by Alek Olsen. I could keep going, but you get the point. Music has a huge influence on my life. I try to incorporate music throughout my day any chance I get. A playlist that always gets me in a good mood is generally a 90s R&B playlist. However, I love the personal playlists I create on my own just the same. Some of my favorite artists on my personal playlist are Summer Walker, SiR, H.E.R, Jasmine Sullivan, 6lack, Solange, Brent Faiyaz, Daniel Caesar, and many more! In order to focus, I usually need music that has no words, like newer age classical or movie soundtracks, so I’ll usually start up a Google Play Music radio from artists like Ludovico Einaudi, Helen Jane Long, The Piano Guys, Audiomachine, or Really Slow Motion. I have my personal playlist on Spotify, and there are too many favs in that list. Some of those are “All of Me” by John Legend, “Perfect” by Ed Sheeran. I also love songs by Bruno Mars, Coldplay, Chainsmokers, and Imagine Dragons. I use custom playlists, but my favorite artists include Rise Against, Bullet For My Valentine, Starset, and In This Moment. Ask me about my hybrid country/metal playlist.